The brown rat (Rattus norvegicus) is the most commonly sighted rat in the UK – it normally lives in groups. Brown rats often measure between 12 and 17 inches (32 – 43cm) from nose to tail when fully grown. They have small, close-set ears, a blunt muzzle and very sharp teeth. Rats can reproduce rapidly; under the right conditions an adult female can produce an average litter of seven or eight young every three or four weeks. Rats live in burrows or within the fabric of buildings and other structures, and they rely on the availability of suitable harbourage (shelter and nesting area), food and water in order to thrive. 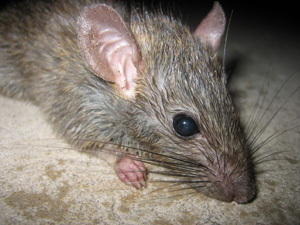 Rats are capable of exploiting a wide range of different habitats and situations. Rats are nocturnal, most active during the evenings, although in certain circumstances can be active during daylight. Gnawing is part of the innate behaviour of rodents and is not necessarily associated with the search for food. Rodent incisors are continually growing and have to be kept in check. They cause a great deal of damage by gnawing woodwork, water pipes, electric cables, and materials such as paper and textiles. Rats carry a number of diseases which may affect people and other animals, such as Salmonella food poisoning and Weil’s Disease, and therefore present a real risk to our health. How do I identify an infestation of rats? 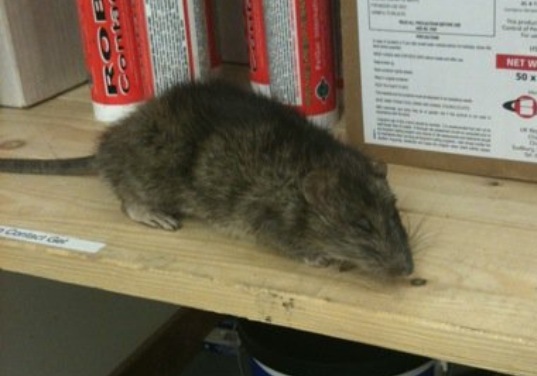 If you suspect you have a rat infestation in Edinburgh, Glasgow, Aberdeen, Dundee or Perth, call GRAHAM pest control today and we could help.